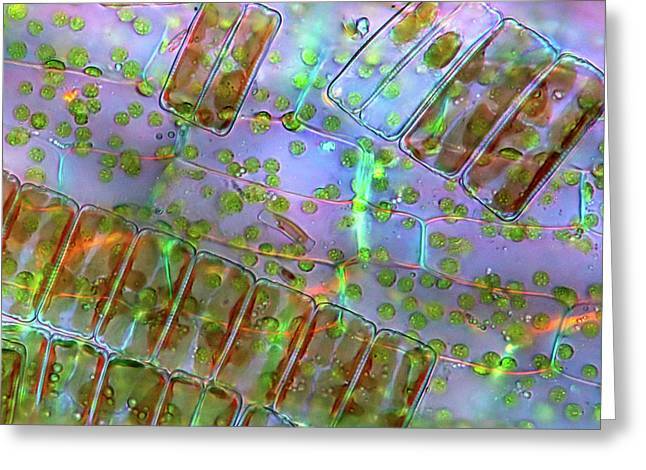 Diatoma Diatoms is a photograph by Marek Mis which was uploaded on July 24th, 2016. 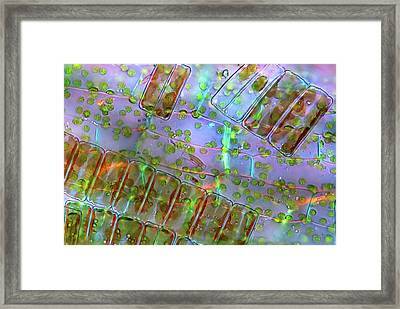 Diatoma diatoms. 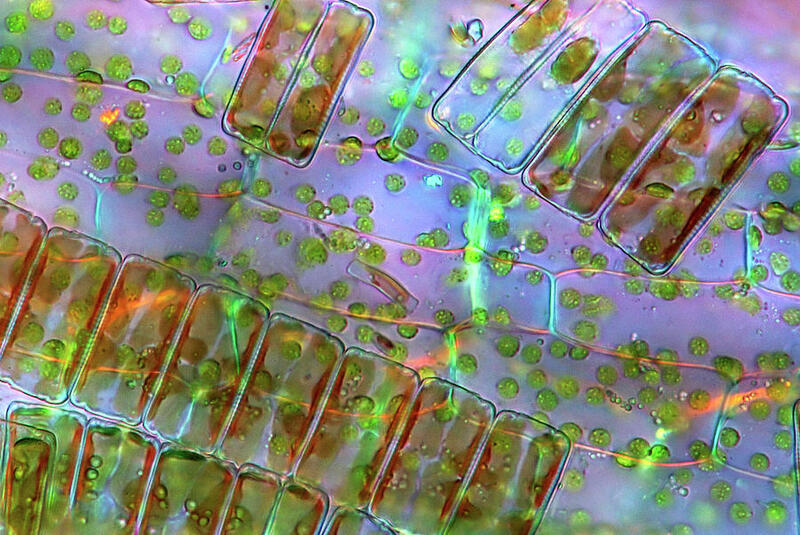 Polarised light micrograph of Diatoma sp. 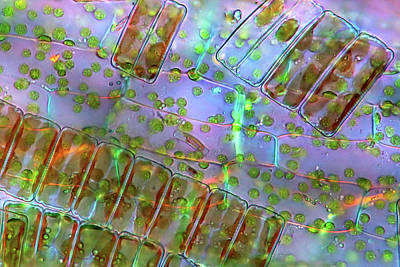 diatoms (rectangular). 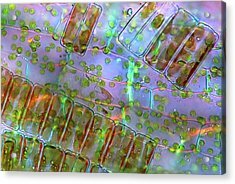 Diatoms are single-celled photosynthetic algae, of which there are about 100,000 species. They have mineralised cell walls (frustules) that contain silica and provide protection and support. 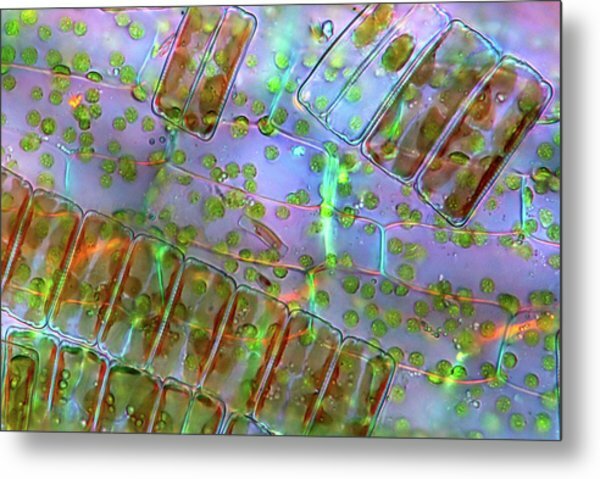 They form an important part of the plankton at the base of the marine and freshwater food chains. 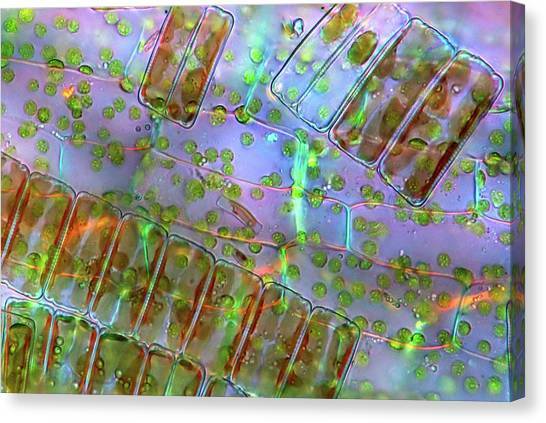 Magnification: x400, when printed 10 centimetres wide. 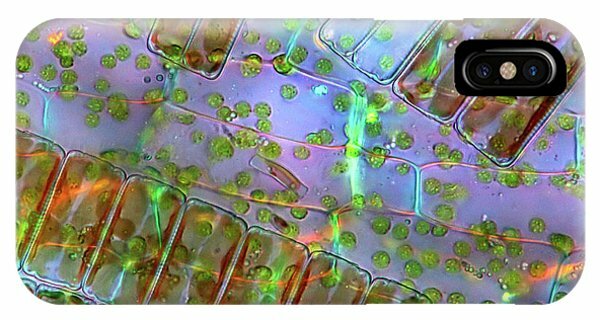 There are no comments for Diatoma Diatoms. Click here to post the first comment.